Get these FREE booklets today! 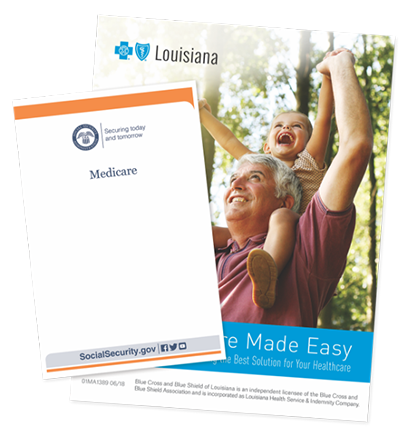 Your FREE COPIES of Medicare and Medicare Made Easy will help you understand the basics of Medicare and some of the important options available to you as a Medicare beneficiary. To get these FREE BOOKLETS, complete the form below. Or call 1-800-737-4043 (TTY 711). Blue Cross and Blue Shield of Louisiana is an independent licensee of the Blue Cross and Blue Shield Association and incorporated as Louisiana Health Service & Indemnity Company.